While EMU and Goshen were supportive of the Board’s consultation and wanted time to also consider the possibility of affiliate membership, both schools have been clear from the outset that they did not want to be the cause of significant division within the membership. 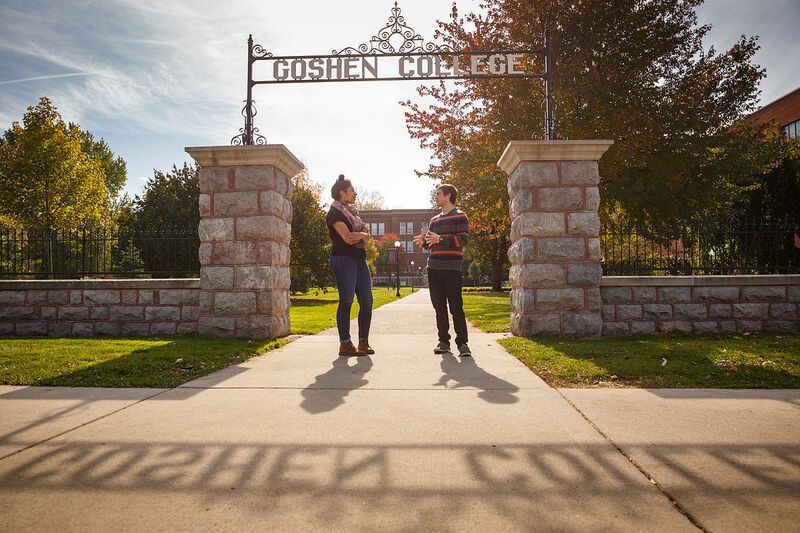 Following completion of the Board’s member inquiry and multiple discussions with Council leadership, both EMU and Goshen voluntarily chose to tender their withdrawals from member status with the CCCU. The Council Board acknowledged their withdrawals at its September 15 meeting rendering the question of affiliate status moot. At various points during the process, the CCCU had requested that any institution considering separation from the association delay a final decision until the Board concluded its evaluation. “We value the many years of partnership with other CCCU colleges committed to a Christ-centered mission,” wrote EMU President Loren Swartzendruber in his letter to Chip Pollard, CCCU chair and president of John Brown University. With the letter, Swartzendruber also resigned from his position as a member of the CCCU board of directors. “EMU remains fully committed to our Christian mission and will do so as an institution rooted in the Anabaptist-Mennonite tradition which attempts to reflect Jesus’ call to peacemaking and justice,” Swartzendruber added. The departure comes following extensive processing between both institutions and CCCU leadership. “We affirm such a deliberative and careful approach to decision-making — especially around issues of profound difference among faithful believers — as a glorious witness to Christian charity,” wrote Brenneman. If you’re new to the story… Goshen and Eastern Mennonite this summer announced policy changes that would allow for the hiring of non-celibate gay and lesbian employees. That prompted the CCCU board to spend weeks consulting with the other presidents of CCCU member institutions. Two schools — Union University and Oklahoma Wesleyan University — quit the CCCU in protest that the consortium was taking so long to decide what they viewed as a settled question. As a broad and diverse association, the CCCU has never adopted specific creedal or doctrinal tests for its members and affiliates. Nevertheless, the Council has been and remains dedicated to the advancement of Christian higher education that is aligned with the historic Christian faith. Accordingly, the CCCU has maintained the historic Christian view of marriage, defined as a union of one man and one woman, in its employment policies and student academic program conduct codes. As it relates to this topic, therefore, the CCCU only advocates for “principles of religious freedom, which allow Christian colleges to hire based on religion and to only employ individuals who practice sexual relations within the boundaries of marriage between a man and a woman” (Board Policies Manual, section 11.2.1). Until recently, there had been alignment of hiring policies within the CCCU membership. The Board completed its consultative process in early September, having spoken to all but one member president, due to scheduling constraints. In these conversations, many member presidents expressed their initial observations, rather than settled opinions on this issue, and many had questions about the CCCU’s different associational categories. In general, however, based on the current categories of association available, approximately 75 percent of members agreed in full or in principle with the Board’s recommendation to consider moving EMU and Goshen to non-member affiliate status. Nearly 20 percent of the member presidents felt that EMU and Goshen should continue in full membership, while less than 25 percent did not support either member or affiliate status. These numbers reflect that some presidents felt comfortable with more than one option. Click here for the full CCCU statement. Stay tuned for more as the story develops. In addition to my own reaction to today’s announcement, this week I’ll be publishing an interview with the CCCU’s new academic vice president, Rick Ostrander. It would appear that my having left the Mennonite way decades ago was a step of wisdom. When you spend years being more worried about feelings and ecumenical group hugs than about truth, you have nothing left to stand on. Nothing I’ve seen in 20 years has let me to question my choice, and this only confirms it. When Jesus comes back, he’s not going to give a flip about your wanting to make people feel good. A **LOT** of people who feel good together are going to go to hell together. Well, Jesus seems kind of rude here! I’d rather be in hell my fun-loving queers anyway. I’m sure parties are much more fun there.